Happy Friday! I decided you could use some coffee to get through the day, before you switch to wine (later, of course). And since my new-found mascarpone obsession doesn’t seem to be going anywhere anytime soon, I thought I’d add that to the mix. We have a tender, fluffy cake infused with tons of coffee, topped off with a creamy mascarpone frosting, dusted with cocoa powder. It’s a great start to the weekend. You’re welcome. This cake comes from Rachel Allen’s book, Cake. It’s brilliant. Check out more from her here, here and here! The recipe for this coffee cake calls for coffee essence and while it can be replaced with regular coffee, the first time I made it, the baked cake had absolutely no coffee flavour. Moisture and colour, but no flavour. None. I mean, what is the point of coffee-but-no-coffee right? It turns out that if you’re using brewed coffee, it has to be really strong and you need like, litres of it. Ok not really, but basically it meant adding lots of coffee, which would lead to unnecessary moisture in an already fluffy cake. So I decided to also add ground coffee in addition to the brewed coffee poured into the batter. And then I decided to omit the vanilla, because any eggy aftertaste is combatted by all of that coffee. Bingo. The final cake was full of coffee flavour, looked almost the same as the first version, just a little darker. It was still fluffy and tender, though a little less moist. Here’s how it looked. Because I was in a rush and didn’t have more mascarpone, the frosted cake you see here is the first one with less coffee. I wanted to show you both so you can decide whether you want to go with the stronger or milder version. I would advise that you don’t skip the frosting, it adds a very special something to this cake, and takes it from ‘everyday cake’ to ‘ohmygod cake’. The creamy mascarpone goes spectacularly well with all of the coffee, which is probably why tiramisu is as heavenly as it is. If you’d like to use instant coffee instead of brewed coffee, that’s just fine too. Make sure it’s strong and aromatic is all. The cake depends on it! You’re going to love this cake! It’s not too rich, but is special enough for an occasion, and is creamy and tender and light all at once. Let’s baaaake! A tender cake infused with coffee, frosted with creamy mascarpone! Lightly grease a 9x5 loaf pan and for easy removal, line it with a piece of baking paper cut to fit the length of the dish, leaving a little overhang. Lightly grease the paper and set aside. Preheat the oven to 180 C.
In a large bowl, sift the flour, then add the salt and ground coffee. Set aside. In a mixing bowl, beat the butter and sugar with a hand mixer, till light and fluffy. Add the eggs and beat well till combined. Pour in the brewed coffee and beat again till combined. The batter may separate a little bit, don't worry about it. Fold in the flour mixture, then run the hand mixer through the batter for a few seconds to smoothen it out if needed. Pour into the prepared cake loaf pan and bake for 45 to 50 minutes, till a toothpick poked in the center comes out with just a few moist crumbs. Cover the cake halfway through with foil, and check for doneness from 30 minutes, as all ovens are different. Allow the cake to cool in the pan for 10 minutes, then lift it out using the overhang and set it on a wire rack. Let the cake cool completely before frosting. To make the frosting, beat the mascarpone and cream in a small bowl, then spread on top of the cake. Dust with cocoa powder and dig in! The frosted cake should be stored in the fridge at all times. *If you have coffee essence, replace all of the coffee in this recipe with 2 tbsps essence. If you don't have the essence but would still like a milder flavour, skip the coffee powder. *The frosting doesn't have any sugar in it, and I don't think it needs it. But you can add icing sugar if you prefer. *I haven't tried replacing the eggs, but ½ cup to ¾ cup milk can be used to make the batter thick, but spreadable. The texture may not be exactly the same. 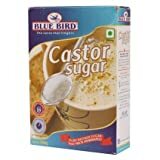 *Self-raising flour is available in India (Bluebird brand) but if you don't have it, sift 1 and ½ cups all-purpose flour with 2 tsps baking powder, then use in the recipe. Hi Gayatri! I just made this cake today. (Must confess that I added some chocolate chips to it). But the cake itself turned out to be amazingggg… my family said it was one of the best I’d ever baked!! Thank you so much for this recipe. It truly is wonderful. The cake was perfectly crumbly and yet moist! Could 100% eat this entire cake in one sitting. I am In LOVE!